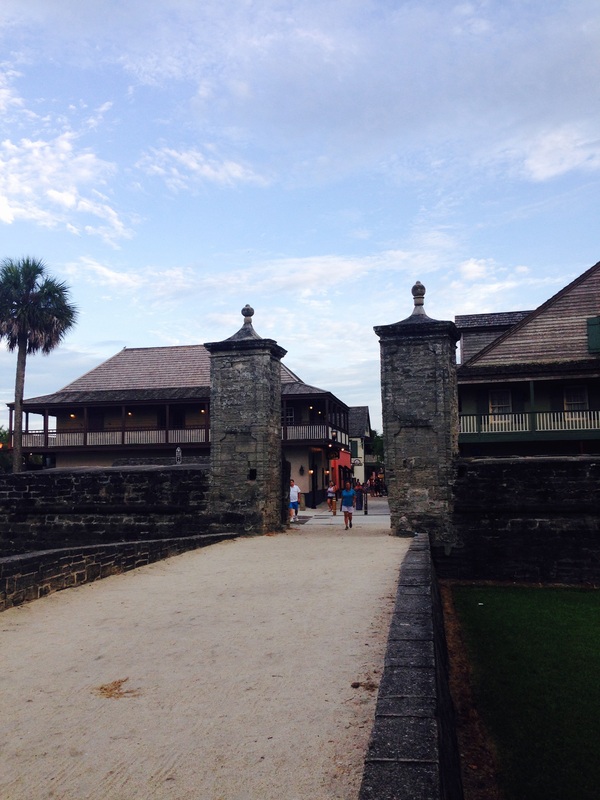 With a week spent in St Augustine exploring the history of the area, it is time to chronicle the visit and prep for cruising further north. 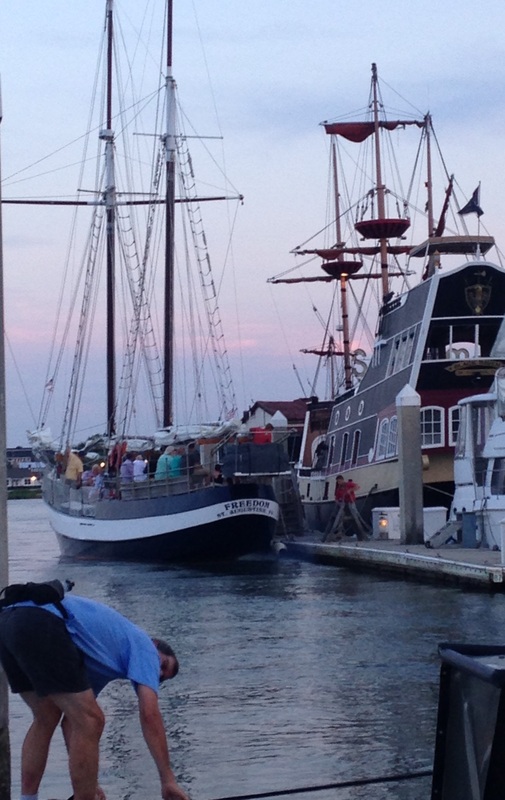 As last reported, our crew entered the port last Sunday, July 19 and wandered the streets to get the lay of the land. 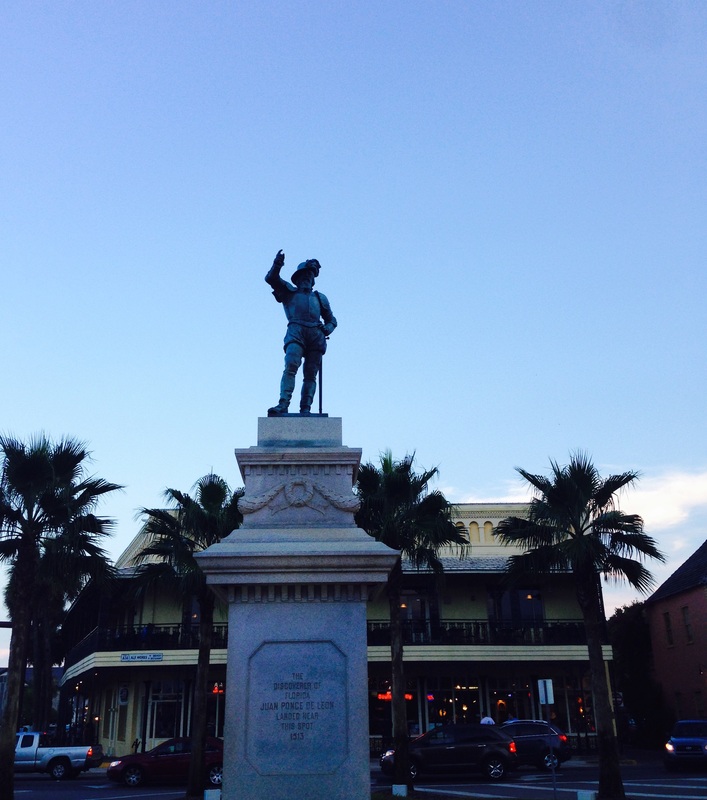 Ponce de Leon greeting you as you enter the plaza. A 2 mile bicycle ride took our explorers to the lighthouse. 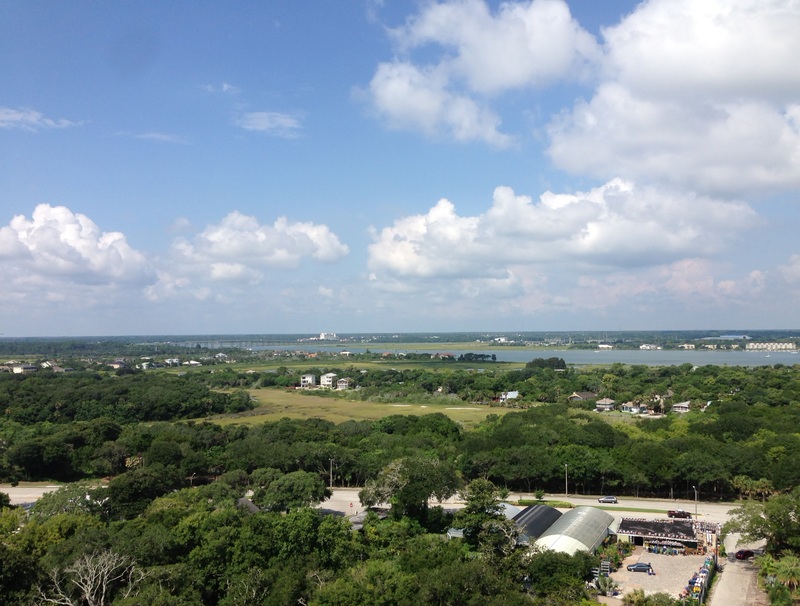 One gets to climb to the top and take in the surrounding views if you can make the 219 stairs. The climb also gives you a better perspective for the keeper who had to make the climb once every two hours carrying a 5 gallon pail of hot oil to keep the light shining, all night long, every night. Not an easy life. The lens in the lighthouse today dates back to 1874 and was built in Paris, France. The Keeper House was built in 1876. 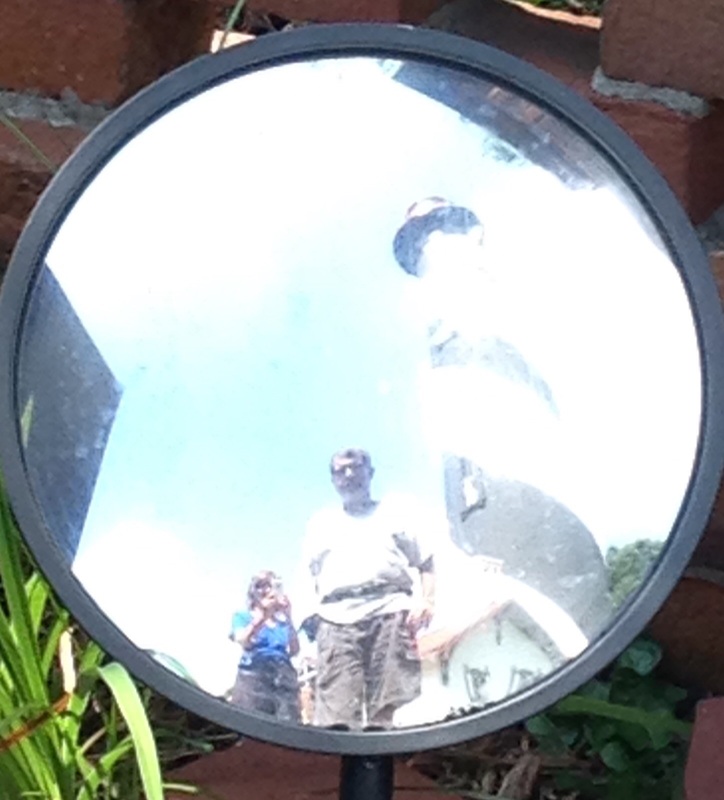 The original selfie, mirror with lighthouse in the background. 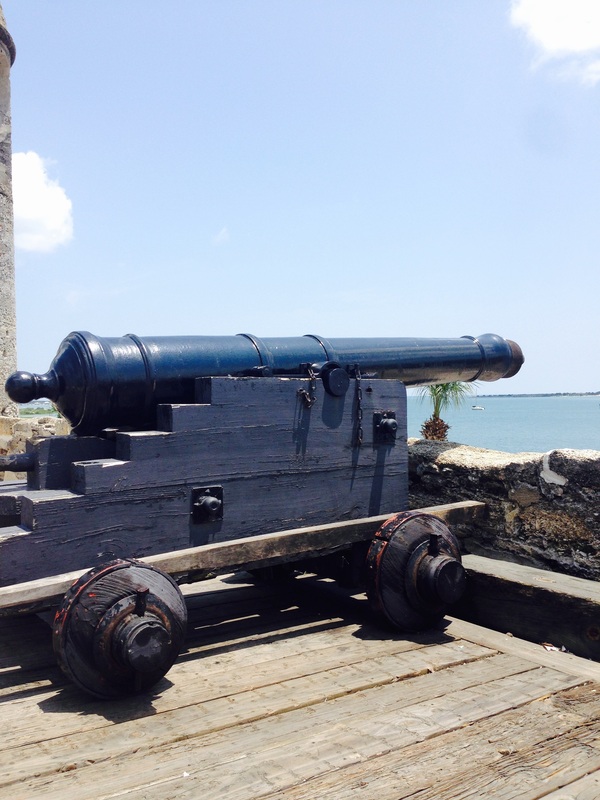 We find our explorers headed to the Castillo de San Marcos, the fort to protect the spainish from those pesky British who are just north of here in modern day Georgia. The fort was completed in 1695. The Brits attacked two different times but never could take the area. In disgust, they burned the civilian part of town to the ground in the early 1700’s. In 1763, the British finally get Florida as part of a peace treaty. They do not hold on to the territory very long. 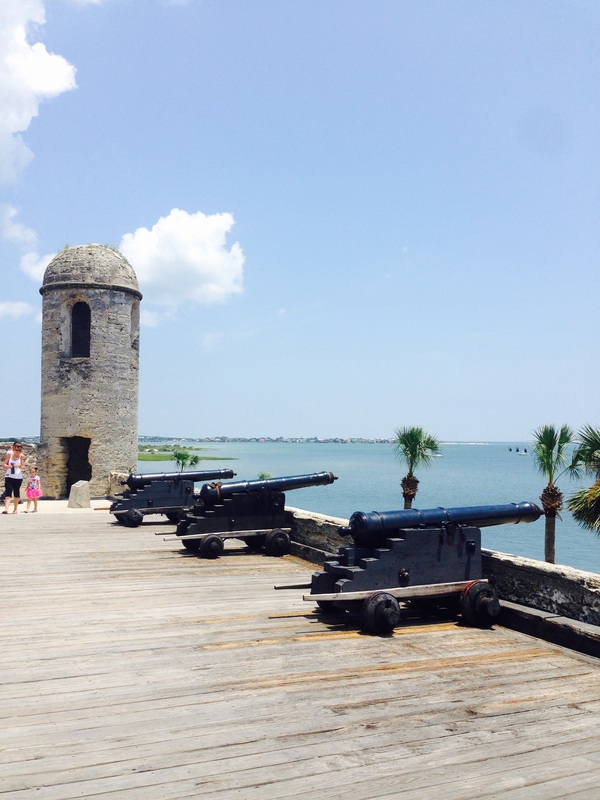 As part of losing the Revolutionary war with the young Americans, the Brits give Florida back to Spain. In 1821, Spain cedes Florida to the U.S.
A new adventure was in order to start looking for decor and design for the boat. That is right, adventure shopping. Not really sure what is up with that, we never decorated our Viking vessels. Interested to see how this ends up, but looks like the mate is just getting started. First the crew had to figure out how to navigate the bus system to get to the stores on the shopping list. Then shop till you drop. Then make it back to the Marina before the last bus run of the day. And yes, articles of decoration have been purchased. Seems the mate is just getting warmed up though and I suspect the skipper has a few more of these adventures in his immediate future. The crew went to the Lightner Musuem. Interesting display of late 1800’s household items. The musuem was originally the Hotel Alcazar, built in 1887. 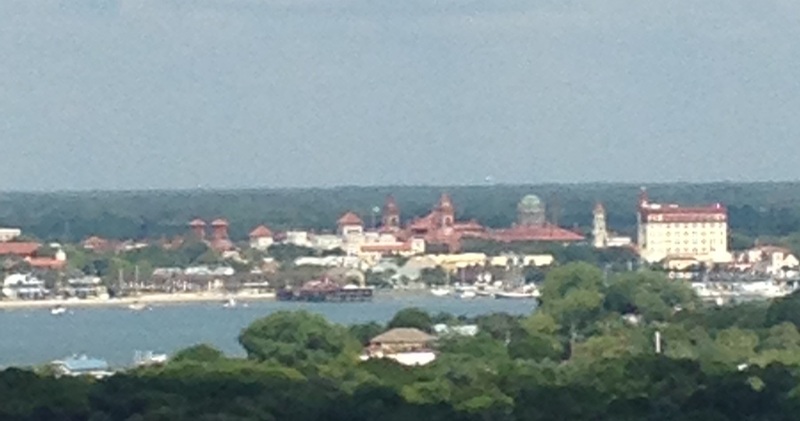 The Hotel was built by Henry Flagler, who was one of John D Rockefeller’s original partners at Standard Oil. Hard day of work cleaning Still Waters II. Not much adventure in that, but she is starting to look better and better. The skipper got an early start by walking 2 miles for supplies because his bike had a flat. On the hike he found a bike shop and got new tubes. He also found a bike better suited for the mate. After walking back 2 miles, the crew decided that they would go look at the bike after cleaning and working on the boat. They decided to buy the bike, but on the way back to the Marina they got caught in a downpour. They managed to get under an awning, but the wind was so strong the rain was just blowing sideways. Needless to say, not a dry spot left. The flooding was severe, and was reported about two feet deep in the old part of town. More shopping adventures, and dinner out on the town. Time to get ready to cast off. The Float Plan for the next few days is to head north to Fernandina, and then cross over into Georgia and stop in Brunswick.